A hardback for a dollar? A bagful of books for a Hamilton? (That’s $10, just in case you…well, never mind.) Library book sales have some of the best prices on books around. In fact, shopping your local sale is even cheaper than buying eBooks! And who can resist a new haul of print reads, especially when it won’t break the bank? With books so affordable, some only a buck a pop, you can afford to get a little adventurous (and who doesn’t want a bit of adventure in their lives?) and take a chance on a new genre you wouldn’t normally read. Who knows? Maybe regency romances or survival thrillers will become your next fave! Another perk of low-priced books is meeting new authors – well, between the pages, at least. Waffling over an interesting-looking book by a writer you’ve never heard of before now? Maybe you wouldn’t risk $15.99 at one of the big-box stores…but at a library book sale, load up on ’em! Get to know alllll the authors, both familiar and new! Don’t just think of yourself…think of the children! Stock up on picture books, chap books, and other reads for your – or someone else’s – kiddos and make their day! Children LOVE books from the library. And what’s better than bringing home library books? Bringing home library books they get to KEEP forever! When you buy from a library sale, you’re giving more to the library’s wealthy shareholders. Of course, I’m kidding!! In fact, proceeds from your local library’s book sale typically go to charitable causes, such as summer reading groups for the little ones in your area, or adult literacy programs that your library sponsors. Sale funds may also help the library order hot & shiny new, popular books for you to check out in the future! That’s the last reason on this list, but I’m sure you can think of more! 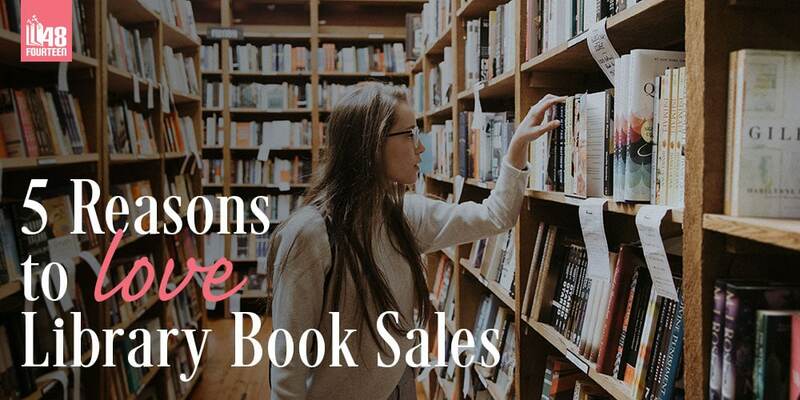 Why do YOU love library book sales? What's The Breakout All About?